We can refinish virtually any surface in your home! We bring over ten years of Professional and Affordable plumbing experience right to your door! 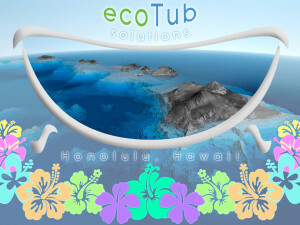 Let ecoTub Solution get your tub or shower looking new again! ecoTub Solutions expertly repairs and restores worn surfaces on Bathtubs, Cast Iron, Porcelain, Sinks, Tub Showers, Shower Stalls, Fiberglass Enclosures, Glass Shower Doors, Spas, Hot Tubs, and Whirlpools in an environmentally friendly manner. 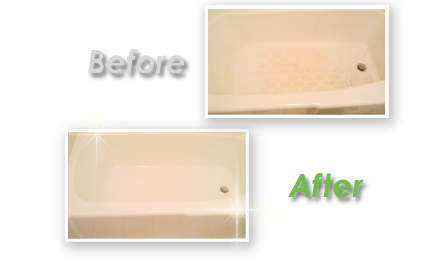 See for yourself how ecoTub Solutions professionally cleans and restores your bathtub to its original shine and luster. ecoBathtub & Surface Solutions can renew the shine in your bathroom in an environmentally-friendly manner. 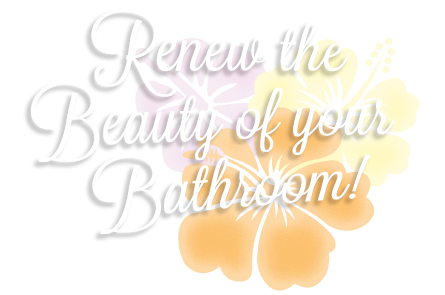 Your bathtub, shower, sink, and even hot tub can look like new again! When hard water, harsh cleaners, heat, or wear and tear eventually damage surfaces – or if the surface was poorly refinished before – we can help! There is limited landfill space on the Hawaii islands, and waste from renovations or new construction fills valuable space. The smartest way to conserve environmental resources – and maintain the bathrooms of residences, hotels, motels, and area condos – is to refurbish what is already in place. 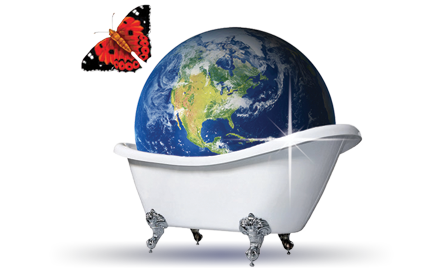 Our methods of eco-friendly Bathtub Restoration keep bathtubs, fixtures, and sinks out of crowded landfills. Our experts repair and restore worn, stained, or scratched surfaces on: Porcelain, Cast Iron, Fiberglass, Marble Surfaces, Ceramic Tile, Travertine, Granite, Stone, Grout, and Glass Shower Doors. We also offer a wide range of home plumbing installation and upgrades. ecoTub Solutions’ experienced plumbing service technicians use the best installation practices for all major brands of residential plumbing equipment. In the event that a bathtub is damaged, cracked, or severely worn – it cannot be resurfaced by our normal eco-friendly processes. A professional re-glazing is recommended. We also offer a low-VOC option for bathtub coating to clients who want to save their existing tub and fixtures. Professional tile installation and bathroom remodeling is also available with our eco-friendly Bathtub Restoration services. There is a wide range of bath tubs, shower enclosures, whirlpool tubs, plumbing fixtures, vanities, sinks, faucets, handles, tile, and toilets that we can help you choose from. ecoTub Solutions is the perfect choice for managers and owners of Apartments, Homes, Hotels, Motels, Condominiums, and Resorts. Have your investment cleaned and restored by a professional. 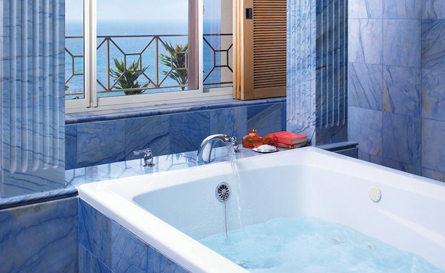 Whether bathtub restoration, tile installation, or plumbing services – we guarantee all of our work. Our service area covers Hawaii to Florida. We have a crew ready to serve you! Contact us today for your free eco-friendly restoration estimate in order to give your tub, sink, Jacuzzi, deck, boat, or shower a clean and bright appearance. Residential or Commercial, we guarantee all of our work and offer a Lifetime Warranty on most services. 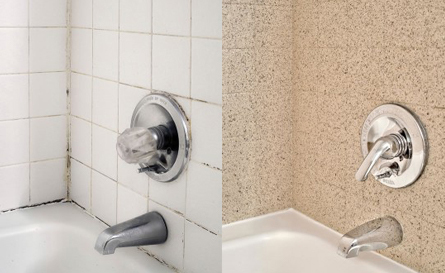 ecoTub Solutions refinished our shower and bathtub and both look absolutely amazing! They look brand new again! Highly recommend Tony and his company’s great work. ecoTub Solutions did a fantastic job on our bathtub and bathroom sinks. We will definitely recommend them to all of our friends. Wow! I never thought my shower doors would look so clean again. Thanks for saving me money on replacing them.